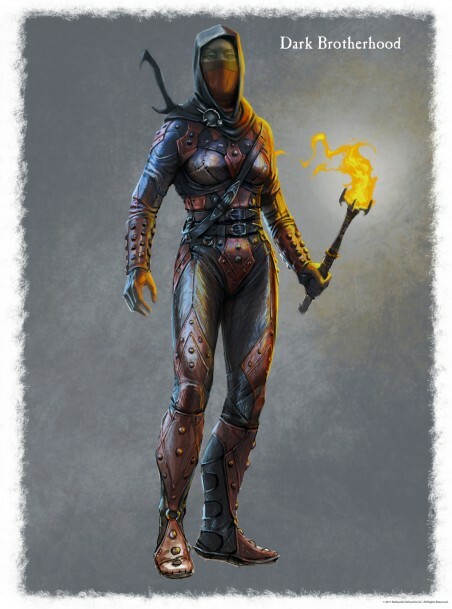 Concept art of the Dark Brotherhood female armor. . Wallpaper and background images in the Elder Scrolls V : Skyrim club tagged: the elder scrolls v: skyrim concept art dark brotherhood female armor. This Elder Scrolls V : Skyrim photo contains peitoral, égide, egis, égida, placa de armadura, blindagem, armadura, armadura de placa, and blindagem de armadura. There might also be brigandine, armet, fauld, and falso.